“May you rise each day aware of the sacred gift of life. 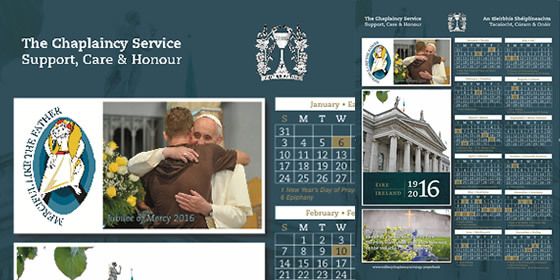 The 2016 Chaplaincy Calendar is now available in all barracks and from chaplains overseas. The two themes of this year’s calendar at the 1916 commemorations and also the Jubilee of Mercy which has been called by Pope Francis.